Language: Swedish. English is the dominant second language. Ranked first among EEA nations in the Migration Integration Policy Index (MIPEX) for ease of integration. The Swedes are generally a conservative people who avoid boasting and public self-importance. They see pompous behaviour as discourteous and aggressive. Swedes dislike arguing, especially with guests or foreigners, and avoid discussions concerning private details like wealth and family. If a Swede abruptly changes the topic of conversation it may be because your questioning was becoming too personal. Swedes are unfailingly proud of their country and liberal society so avoid any negative comments about either. Above all, remember that there is no tolerance of sexist, racist or inappropriate jokes. Many foreign businessmen and women initially feel intimidated by the meticulous approach taken by their Swedish colleagues. However, many realise that collaboration benefits them in the long run, as their attention to detail leads to higher quality and greater productivity. Some foreigners also find negotiating with Swedes exhausting at first, as all clauses may need to be discussed in fine detail, and when an agreement is met it may then be open for discussion again if further grey areas are discovered. This careful approach to business is typical of the Swedish people. They have high expectations of themselves and others as they see this as the most efficient way to maximise quality of life and maintain work-life balance. Most Swedes are fluent in English and running business meetings with foreigners in English is seen as appropriate. However, as a business professional you will build many more bridges by using some key Swedish phrases. A ‘hej’, ‘tack’ or ‘Trevligt att träffas’ will open many doors. With its various intonations, Swedish may seem incomprehensible at first, but it is worth persevering and asking locals to repeat phrases slowly if you do not understand (Var snäll och tala långsammare). Listening to Swedish podcasts and watching Swedish YouTube videos are two good places to start. Expats who have lived in Sweden for a while tend to marvel at the work-life balance achieved by Swedes. Great importance is placed on family and Swedes structure their work life around quality time with their loved ones. Swedes will work hard for you in the office and will aim for lagom in their work, which loosely translates as doing just enough or the right amount to complete a task effectively. Further exemplifying the Swedish work-life balance is fika, coffee and bun breaks. All Swedes enjoy fika and it is usually held twice a day in the office. While people in other countries may work through their short breaks, Swedes will not. Swedes may also be inflexible with the timing of fika, so it is not the moveable feast, so to speak, that it may be in other countries. Swedes are generally relaxed in the office environment and this extends to their clothes. Jeans and other casual wear usually qualify as smart casual with suits only being worn for important meetings. Suits should be conservative; dark in colour with a shirt and tie. Women can wear either a skirt or trousers. In the office and other social situations people are generally referred to by their first name. Title such as ‘Mr’ and ‘Dr’ are no longer commonly used. Greet both your male and female Swedish colleagues with a handshake. Men do not need to stand when a woman enters the room. The key element to all business in Sweden is punctuality and it is worth remembering this when it comes to meetings. Swedes view lateness in both social and business interactions as disrespectful. Swedes like to be prepared for meetings, so rescheduling or changing the agenda or venue at short notice will be frowned upon. Arrange your meeting at least two weeks in advance and expect a swift reply, confirming the meeting arrangements. Small talk at the start should be kept to a minimum and meetings should finish on time; Swedes may begin to pack up their belongings when a meeting is due to finish. When it comes to organising meetings, foreigners must remember the importance Swedes place on work-life balance and the move towards flexible working environments, particularly in more forward-thinking industries. Many business people come to Sweden from cultures that encourage breakfast meetings to start the day. Very few Swedish employees will be agreeable to sacrificing this time and the same applies for meetings late in the afternoon. The most successful time to schedule meetings is either 10am or 2pm. Vital meetings should also be scheduled outside of key holiday months (July, August and February) if large numbers of staff need to attend. The tone of business meetings in Sweden usually surprises foreigners. For a nation famous for its diligent work ethic, many meetings are relaxed and may even have a jovial tone. It is important for foreigners to recognise that this friendly supportive environment is created because Swedes value contributions from all employees, no matter their rank. However, be warned: too much humour and hilarity is seen as inappropriate and may imply you are not taking the business seriously. Many foreign business managers have to make an effort to adapt to the informal and egalitarian tone of the Swedish office. An outsider would find it difficult distinguishing between the management and the employees in most offices, as all desks are often placed together in the one workspace. Managers also dress similarly to their employees with no flashy items to display their status. In Sweden it is taken as a given that bosses and managers respect the opinions of their employees and all staff have the right to share their opinion so long as it is supported by valid reasons and data. This logical approach to business is also expected of managers, so ensure you are always prepared. If you need to provide negative feedback to a staff member, make sure your criticisms are kept succinct and avoid unnecessary elaboration and repetition. Refrain from providing this feedback in communal office areas as Swedes view criticism in front of others as a lack of respect. Swedes aim to achieve lagom in their work days to ensure their workload is completed to a pleasing standard and dislike being asked to do overtime on weekdays or to work on weekends. Swedes are rarely flexible on holiday arrangements, so it is best to keep this in mind when discussing timelines with colleagues. With the strong economy and a general open-mindedness to new ideas, increasing numbers of foreign businesses are setting up in Sweden. 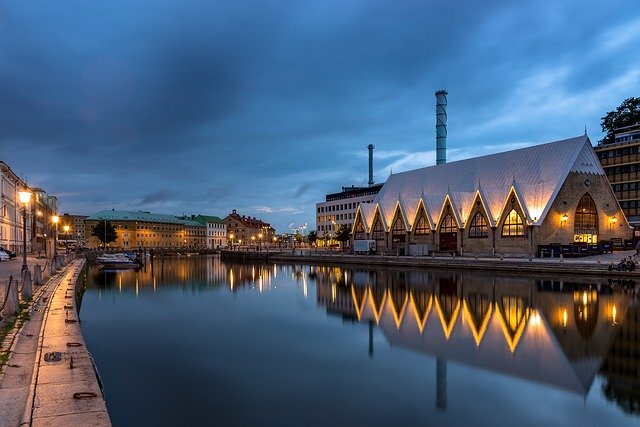 Forbes has named three of Sweden’s cities – Malmö, Stockholm and Gothenberg – in a list of the world’s most inventive cities and Malmö’s 4th place ranking is testament to the creativity that can be found in the city’s businesses. Across Sweden new markets are now emerging in futuristic industries such as renewable energy, AI and life sciences. Innovative thinkers who are looking to set up their business in Sweden should start their research at Statistics Sweden in order to find the geographic spread of their niche demographic. Branschorganisation will provide information on size and types of companies and Verksamt.se outlines business regulations for each industry. It is worth remembering that Swedish legislature places great importance on parental leave, flexible working, pension entitlements, holidays and corporate social responsibility (CSR). Foreign companies who openly embrace this progressive approach to business generally report an increase in productivity and are likely to expand more quickly. Most foreigners are at first alarmed by the high taxes and cost of living in Sweden. However, expats agree the excellent quality of life is worth these costs. A healthy lifestyle is ingrained in Swedish culture and expats regularly comment on how they benefit from the Swedish diet with its regular servings of fresh fish and vegetables. Expats enjoy the wealth of outdoor activities in Sweden that suit all levels of fitness from alpine skiing to berry picking. Most expats find their first Swedish winter difficult, as the short dim days can seem never-ending. Participating in a range of winter outdoor activities is a recommended way to combat these winter blues. Most expats mirror the Swedes and live in the south of the country due to the connectivity to Scandinavia and the rest of Europe for both business and leisure. 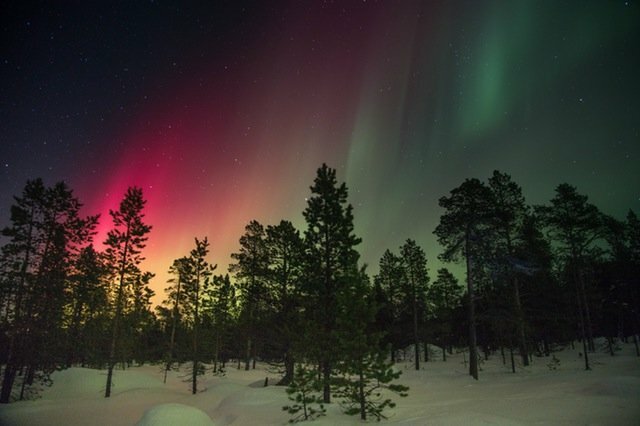 Adventurous entrepreneurs planning on running a virtual business may wish to investigate some smaller northern Swedish towns where rents are cheaper and a more authentic Swedish experience is on offer. Most expats will settle in Stockholm as they can experience the excitement of living in a large modern city and still have the wilderness close to their doorstep. 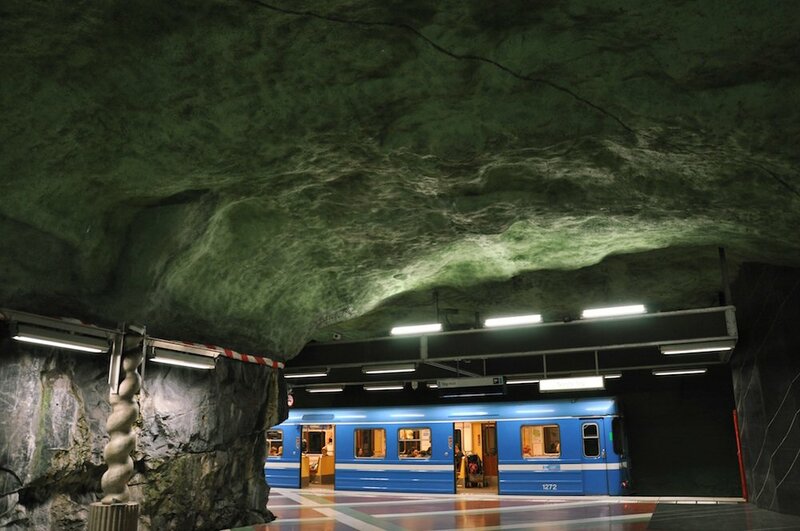 Stockholm is the most expensive city in Sweden, but the range of activities, transport and services is extensive. There is much to explore on the weekends such as the perennial tourist favourites of Gamla Stan and the Vasa Museum. Stockholm is an archipelago that expats have more time to explore and it is worthwhile travelling out to Vaxholm and beyond to get a feel for Swedish island living. Gothenburg is a cheaper and friendlier alternative to Stockholm. It lies at the heart of an extensive archipelago that provides endless options for weekend leisure activities. In the town centre expats will find canal-lined streets, leafy boulevards and a range of independent shops and contemporary fusion restaurants. Nearly half of Malmö’s population is under 35 and it is the city with the highest proportion of foreign born residents, which makes it a vibrant place to live and do business. Expats in Malmö will be in close proximity to beaches, parks and food markets. They will also enjoy a combination of traditional (Malmöhus Castle) and contemporary (Moderna museet) Sweden. If you’re conducting business in Sweden you may need assistance with business translation or legal translation. Kwintessential are proud of our experienced team of Swedish translators who can help. Contact us for more information and quotes now.